Star Trek: Asterisk "Future Imperfect"
Riker is told that he's woken up in the future and forgotten sixteen years of his past, goes through the five stages of grief backwards. It starts off with Riker celebrating his birthday. He attempts to entertain his guests with a trombone solo, but, as Troi puts it, some things get better with age, maybe his trombone playing will be one of them. In the middle of enjoying cake, he's called to the bridge. The Enterprise is on her way through an area of space that's near the Romulan Neutral Zone when they pick up some strange readings from a nearby planet. Following these readings, Riker leads Worf and Geordi on an away team to check them out. They could be a hidden Romulan base. When they get down to the planet, all they get is poisonous gas. It knocks the team out, and Riker awakens in sick bay... sixteen years in the future. Or so he's told by Beverly Crusher. She explains to him that while he was on that planet sixteen years ago he picked up a parasite that only just now caused his sixteen year memory loss. 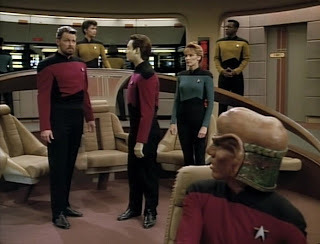 In the years since that away mission, he has become captain, Picard has become a paper-pushing admiral and Data has become Captain Riker's first officer. Riker is confused and a little overwhelmed, but he Accepts his situation. On his way to the bridge, he learns that Geordi is running a diagnostic on the ships computers, so they're running pretty slow. Once there, he meets with Data and sees a Ferengi at the helm next to Worf. He also passed a female Klingon on the way to the bridge; clearly a lot has changed even in the Federation. But this is not taken into account when a Romulan warbird decloaks right in front of them and he goes to Red Alert. Data explains to Riker that they were expecting this warbird. In fact, when the warbird hails them, none other than Admiral Picard shows up on screen along with his aid, Deanna Troi. They beam aboard along with Ambassador Tomalak, who Riker remembers as a mere captain sixteen years ago. The purpose of their visit: to prepare for the signing of a treaty with the Romulans. Picard explains that Riker was instrumental in helping a Romulan ship; an action which lead the Romulans to start talking peace with the Federation. So, amnesia or no, he is an important part of this meeting. 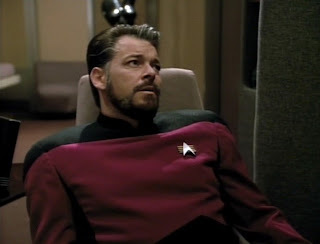 Riker needs some time off to think about things, so Troi accompanies him to his quarters where he finds... he has a son. The son is named Jean-Luc Riker and Troi explains that his mother had died a long time ago. You would think that the discovery of a son might make Riker happy, but he's actually a little confused and Depressed. He tries to get to know his son, but the loss of his memory makes it difficult. So he takes a break from that to join the peace talks with Ambassador Tomalak where he'll be able to make Bargains for the betterment of the galaxy. 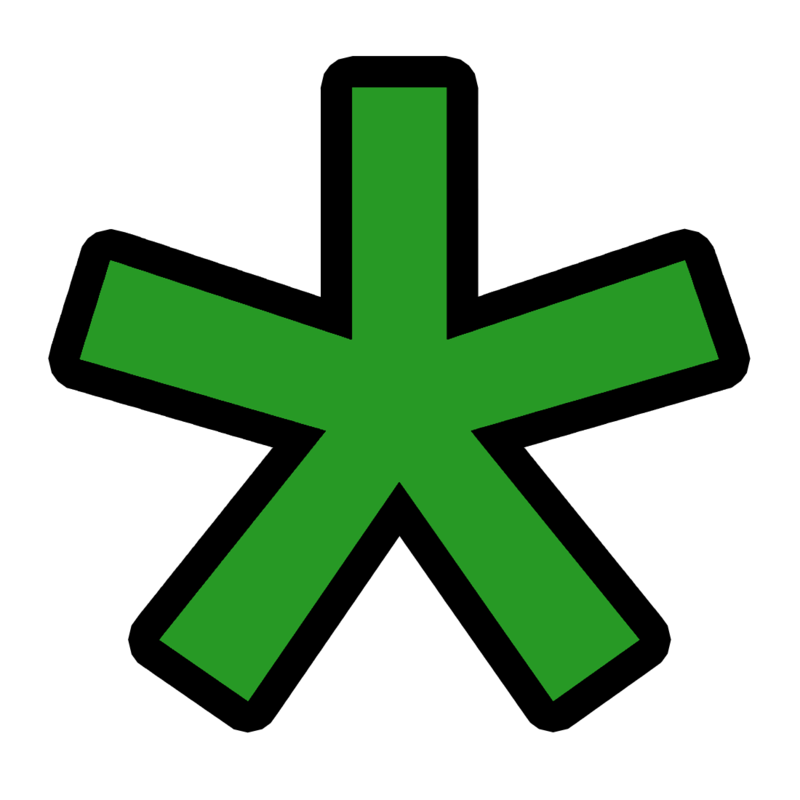 But then Tomalak asks for something he's wary about giving: the location of a particular Federation base. Picard takes Riker aside and explains that in sixteen years, the strategic importance of this base has diminished. It's okay; we can give that away. Riker is yet unconvinced, so he pauses to go back to his quarters and look up pictures of his son's mother. "How do I pull up Facebook on this thing?" The computer lags and fails to find his ex-wife, so Jean-Luc comes along and helps him. 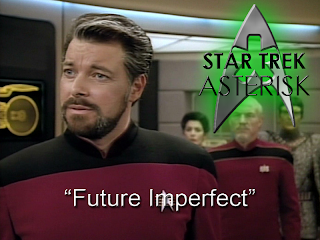 While Riker watches a video of the whole family together, he realizes something tragic. That's not a real woman. That's Minuet; the holodeck woman he fell for back in season one. After realizing this, he becomes Angry and demands answers. He tells Geordi that his "diagnostics" should have taken less than four hours, he asks Worf to recall where he got a battle scar, he tells Data to calculate some numbers and he's slow to answer, but the crap hits the fan when Data says "can't" instead of "cannot". We all know Data can't say contractions. Finally, Captain Tomalak comes onto the bridge and drops the simulation to reveal a Romulan base. Tomalak explains they'd been using neural scanners to draw a realistic future simulation so they could get information from Riker, but Riker asks the logical question: why not use the scanners to get the answer directly? Tomalak ignores the question and puts Riker in a prison cell along with a child the child that Riker knows as Jean-Luc. Tomalak says they used his image to augment his program. The child introduces himself to Riker as Ethan and as soon as Tomalak is gone, Ethan helps Riker to escape. They run through the base and hide in a "secret place" for a while where the Romulan scanners can't reach them. But then Ethan slips up and calls Tomalak an ambassador. He was only an ambassador in the simulation. In real life he's a captain. At the same time, the Romulans are catching up to them. In full on Denial of his situation, Riker allows the Romulans to catch up and demands some real answers. The whole simulation falls away and all that's left is Ethan. Ethan explains his real name is Barash and his parents left him here on this planet alone while they were on the run from enemies. They left neural scanners along with him which would read his mind and give him anything he wanted. But, in the end, it was all fake. He wanted someone real. So he trapped Riker and thought they could have something special. But no one told him how much humans hate being lied to by illusions. After all, he never met Captain Pike. His last magic trick is to turn himself into his true form, some kind of weird insectoid alien, and Riker tells him he'll always have a place in the Federation. Before they beam up to the real Enterprise, Riker assures Barash that he'll always know him as Jean-Luc. And we never see him again. This is a really good episode, especially if you're seeing it for the first time. At first you think "okay, is he going to go back in time or something?" 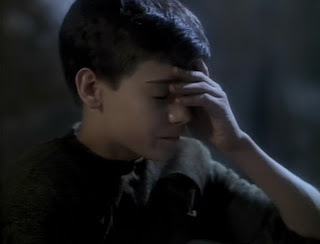 and then you think "yeah, it's totally Romulans," and then it smacks you in the face with this Barash kid. It's one of those stories that you can't see coming, but when it's all revealed, it makes total sense. It reminds me of "The Cage" with all the illusion stuff going on, the difference, of course, being that Pike knew he was being kept captive and Riker had to figure it out. And that single difference makes this episode the better one, in my opinion. Thumbs up!